Nestled in the heart of Ottawa’s Sandy Hill neighborhood, you will find an unassuming arts and craft era home, like any other home in any other Ottawa neighborhood. On closer inspection you will notice a sign for Worldview Studio in the front yard and if you look down the driveway and you will see a quaint cedar shake studio. Knock on the door, and you will be invited into an utterly unexpected world of art. Worldview Studio is owned and operated by Mitchell Webster and Janet K. MacKay. Both are prolific painters in oils and acrylics, but they will tell you that sculpture is their greatest passion. Worldview Studio is home to one of the largest collections of original sculpture in the Ottawa Region, outside the National Gallery. The walls are covered with paintings reflecting a Canadian experience that we all know and love so much. 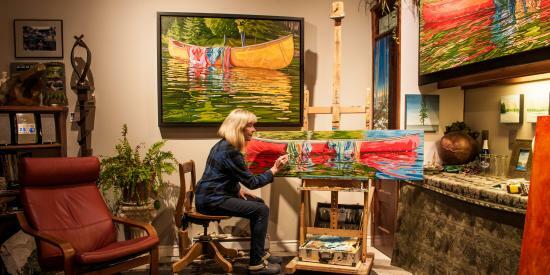 Janet and Mitchell met at a Sharbot Lake studio tour and felt an instant connection through their art “and the rest is history,” as Mitchell says: "We’re partners in life and in art.” Like any good relationship, whether in partnership or artistry, they help each other grow. They are each other’s best critics and supporters and they don’t think they would be pursuing their art in the same way without each other, explains MacKay. Webster agrees, saying MacKay is his greatest motivator and describes her as an educator. "She teaches me so much. She taught me how to make my first mould, and constantly drives me to be a better artist." MacKay smiles and replies, “We’re a pretty good team". 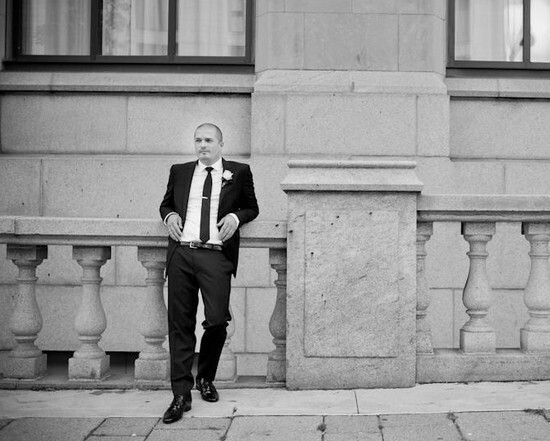 Together they form an accomplished and distinctive unit. The pair has collaborated in the past, but for the most part their artwork is independent to their respective styles. 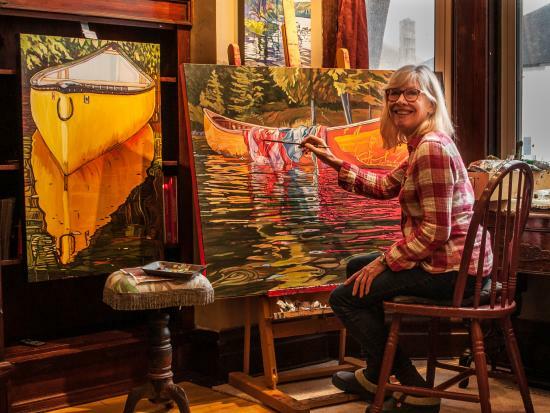 “Our art is so different from one another that very often a couple will come to a show, and one will absolutely fall in love with Janet’s work and the other will like mine," says Webster. "There is something for everyone’s individual taste." MacKay agrees, comparing the diversity of the gallery to a coffee shop. “Mitchell offers coffee and I offer tea," she says. Their distinctive styles are complementary and a testament to their expansive painting and sculpting skills, a rare pairing amongst accomplished artists. 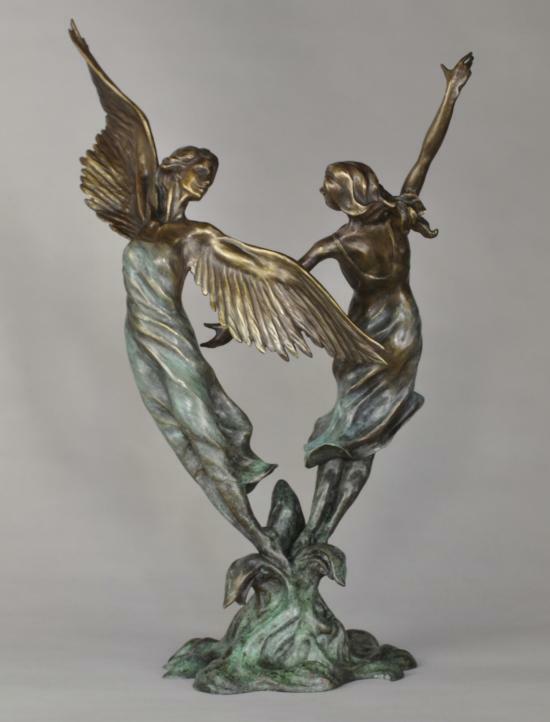 Janet’s bronze sculptures have an Art Nouveau flare and are primarily figurative, often focusing on dance and opera. “Sculpture is my passion – it speaks to human relationships and the strength of the human spirit,” says MacKay. Fellow artist and partner Mitchell Webster acknowledges MacKay as a master of anticipated motion. “What I love most about Janet’s sculptures is how light and effortless they seem,” says Webster. MacKay’s sculptures defy the hardness and weight of the bronze material, with movement that appears light and fluid. “She is really good at capturing motion. Half the time I expect her sculptures to do a pirouette right before my eyes,” says Webster. MacKay’s heart and mind are best heard through the language of art. 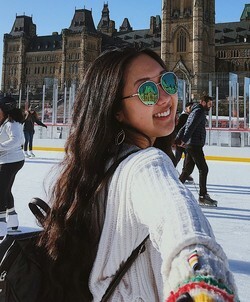 It's her way of connecting with the world. MacKay’s artwork is half of a conversation waiting to be completed by its viewers. After much reflection he recalled his early childhood love of art, fond memories of crayons on the walls and doodles in school books came to mind. The path became clear. "I wanted to be an artist. I started right then and there. 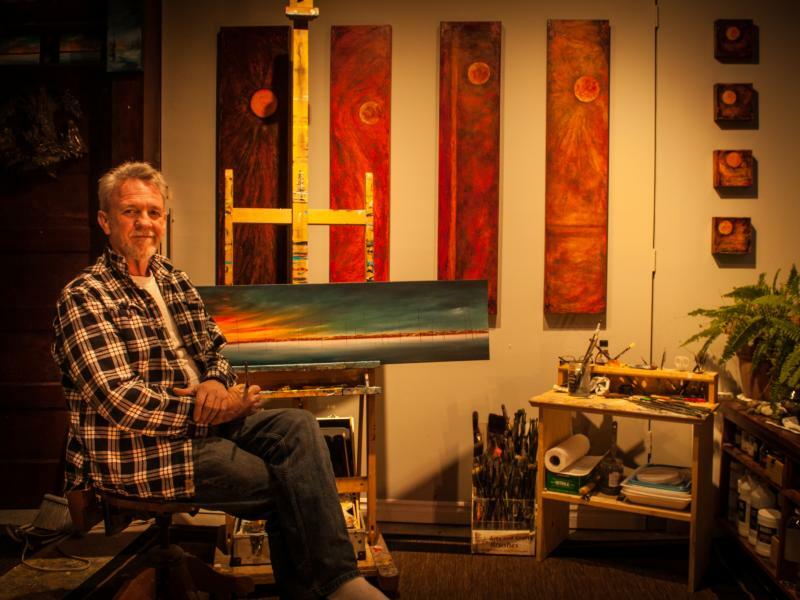 I started painting then I quickly began sculpting,” says Webster. During his transition into art, an influential artist for Webster was Auguste Rodin. “I specifically love the romantic side of Rodin,” says Webster. It is the intricate complexities of human relationships that inspires Mitchell’s sculptures. These influences are evident in Webster’s abstract, romantic, and sensual sculptures. “Mitchell’s sculptures often have two people and to me they are about relationships,” states artist and partner MacKay. Winter is a common theme in Webster’s paintings. His oil paintings are serene with long panoramic winter landscapes. “I love the anatomy of naked trees in the winter, and looking into the distance because it makes me feel peaceful. I enjoy capturing that moment of aloneness with the peace and tranquility found in winter,” explains Webster. When using acrylic paints, he will gravitate to warm colours and the use of texture, to fully engage an audience at every angle. Webster’s artwork is surreal and expresses a child-like joy met with a deeper exploration of life. MacKay and Webster independently represent their work through Worldview Studio because they value the personal interactions with their clients. “There’s a joy of being in that moment with people,” says Webster. “I love being a fly on the wall and hearing what people say as they walk through the gallery, especially when they find the exact emotion I was trying to convey. It feels like they understand me." MacKay relates this feeling to how a musician feels when they are performing. “Musicians have an audience and are able to make that connection right away. They get that instant feedback," she says. The duo take joy in connecting with others over their art just as much as they enjoy creating it. Worldview Studio is a space that combines artistry and dialogue in the beautiful city of Ottawa. With Worldview Studio’s range of styles, mediums and subject matter, visitors are sure to find something to suit their individual taste. They are open year round by chance or appointment and host an open house twice a year. Worldview Studio is located at 210 Blackburn Avenue (Sandy Hill). You can find out more about their events and work at worldviewstudio.ca.